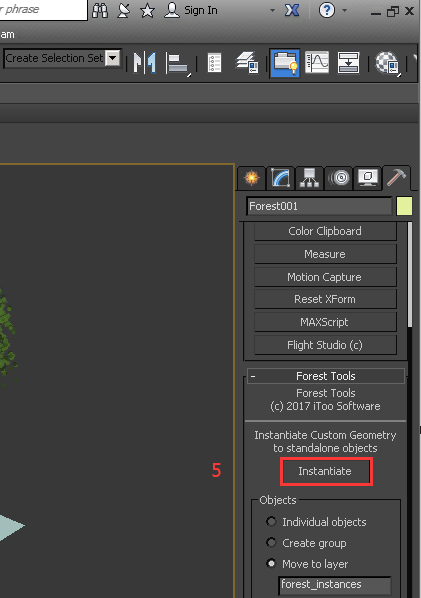 Select the need to convert Forestpack objects. 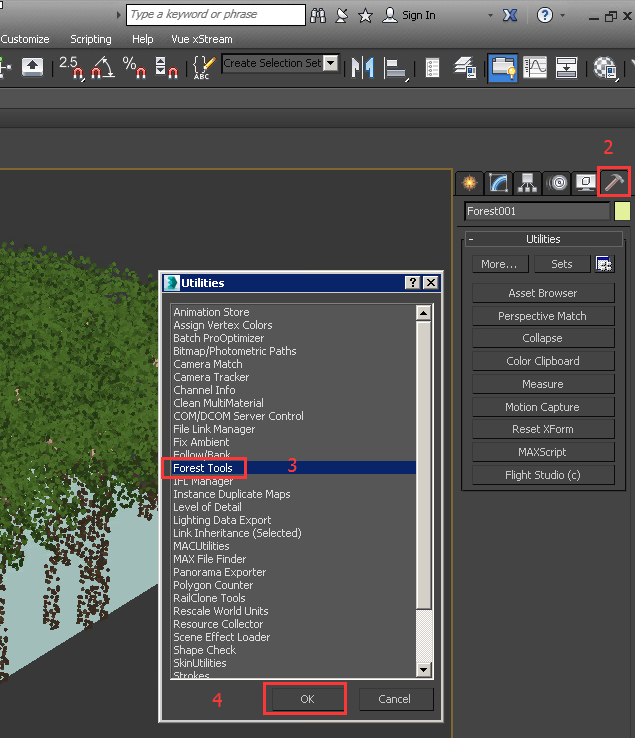 Select "Forest tools" and click the "OK" button. 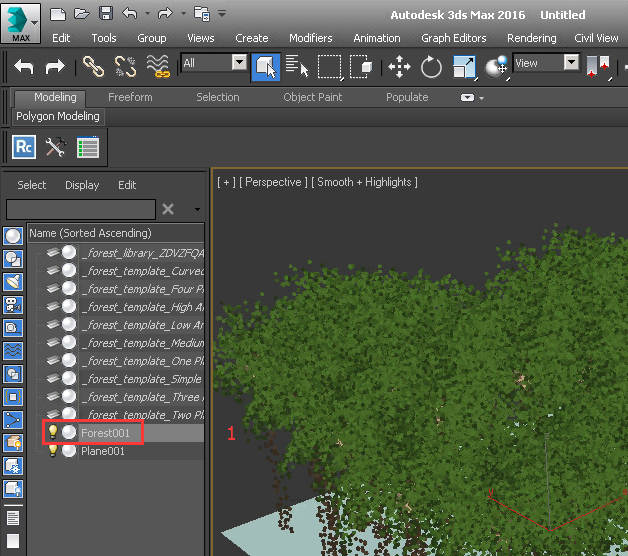 Box click on the "Yes" button, the forest object will be transformed into mesh objects objects, while max automatically delete the previous forest objects. Select the need to convert Railclone objects. 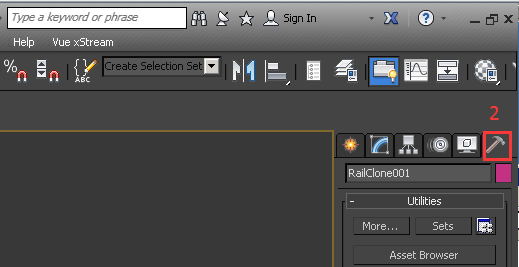 Select "Railclone tools" and click the "OK" button. 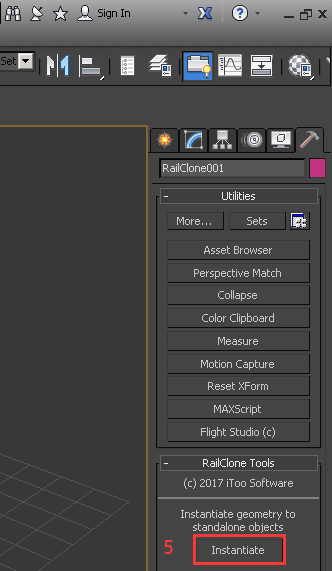 Box click on the "Yes" button, the Railclone object will be transformed into mesh objects objects, while max automatically delete the previous Railclone objects. 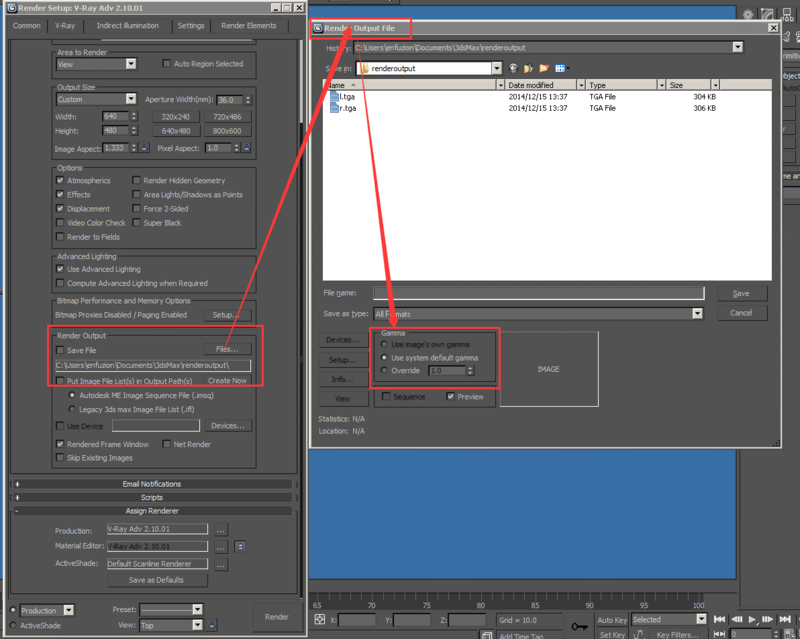 The effect is as follows, save the file and then submitted to render. 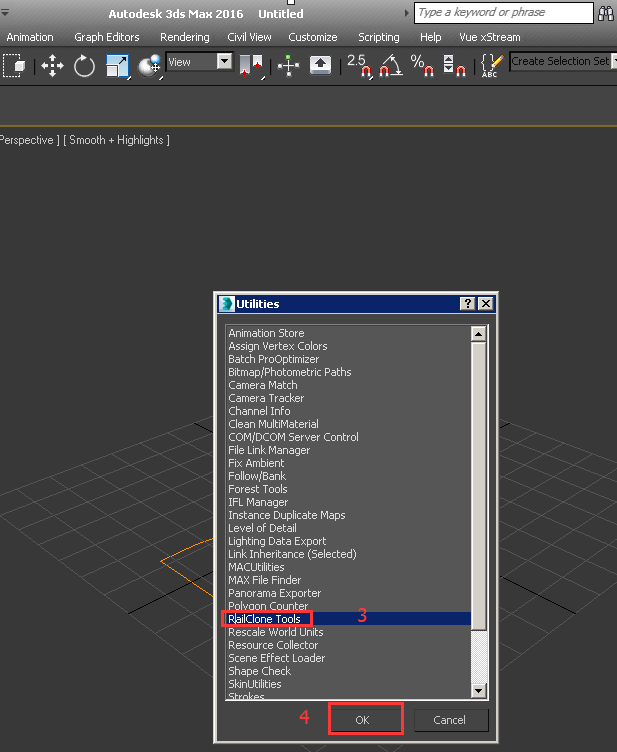 The FumeFX cache may not be found when submitting the render job. 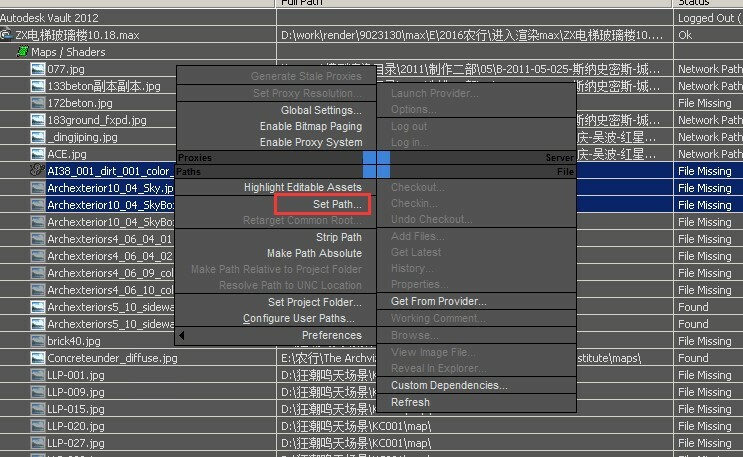 The cache path must use the E-Z disk drive path, such as E:\project\files... instead of the IP path (\192.168.1.1), the network share path (\share\files\projects), C disk drive path (C:\files\project) or D disk drive path (D:\files\project). 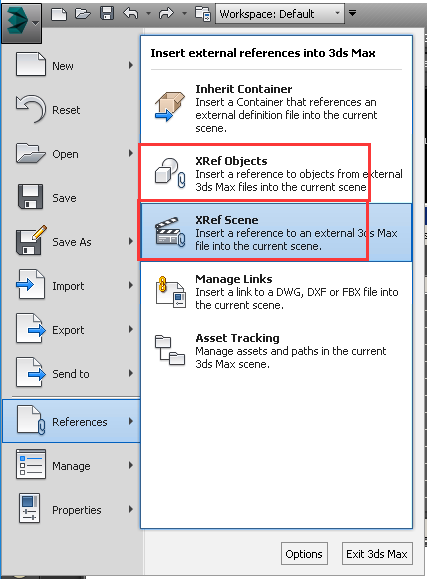 Open the scene file, check the cache directory path. 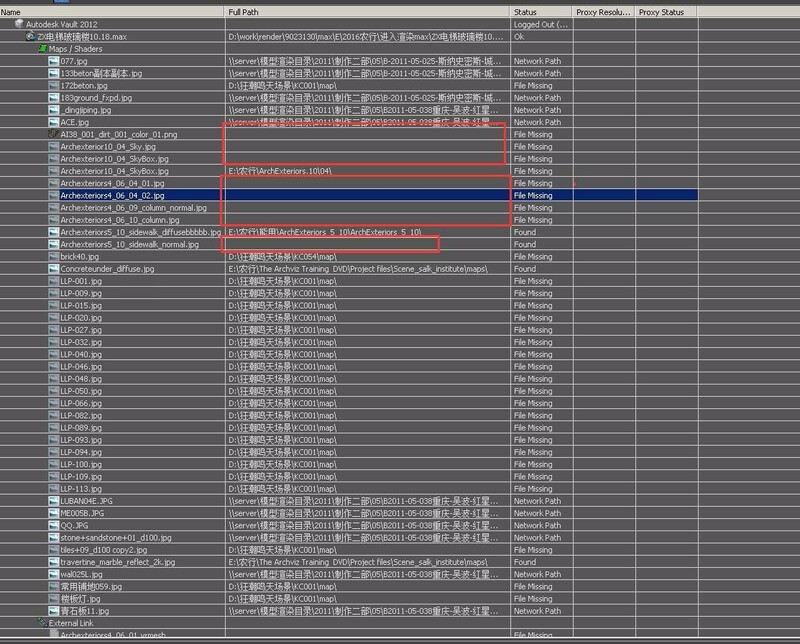 Check the local disk drive whether contains the cache, such as (E:\fx_cache); If the local disk drive has the cache, and then open the SYNC synchronization tool, check the 3ds Max project directory which corresponds to the E folder whether there is the corresponding cache. This is due to Gamma correction output type error. 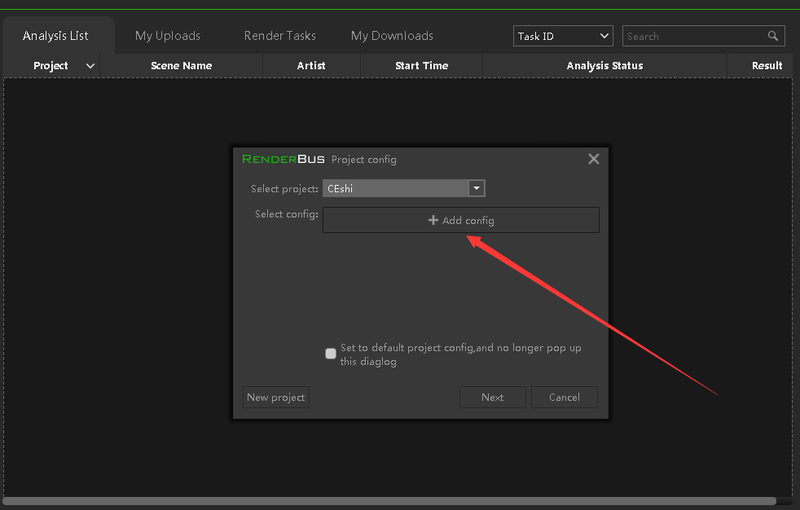 If you modify the relevant parameters by the following way, the brightness of the rendering result will be processed and saved in the file type that can support this type of effect, if unsupported file type is used to save the effect, the brightness might not be what you expect. 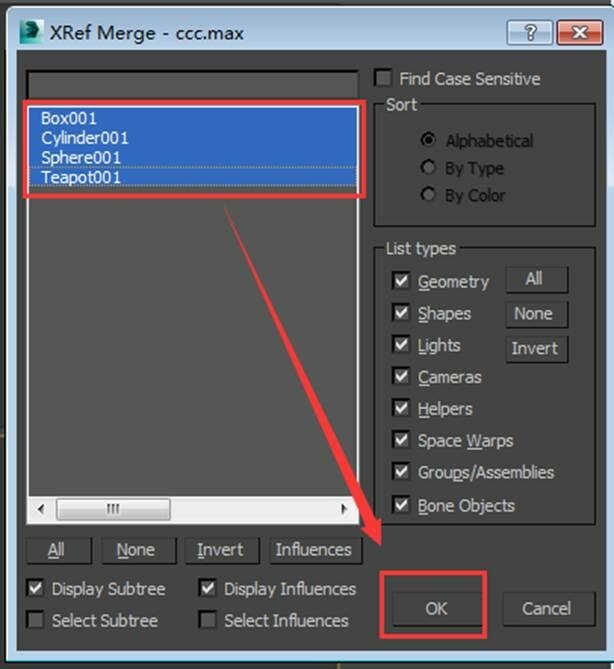 Alternatively, if you are using a specific version of 3ds Max, the incorrect render command problem may also result in incorrect gamma problem. 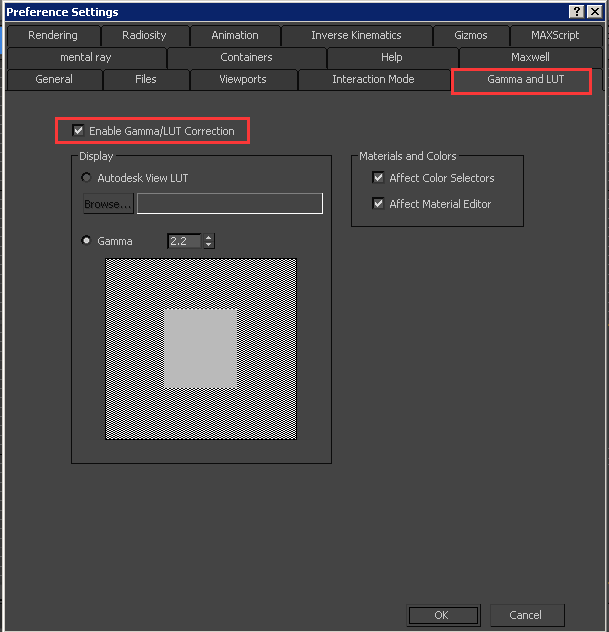 Please choose the file type above that states “Yes” for ability to save gamma correction. 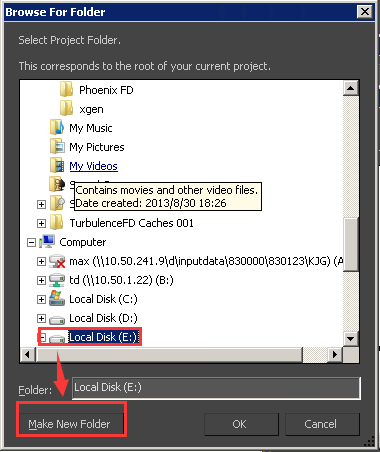 All assets path must be within the E-Z disk drive, such as E:\project\files. File name and path name must be in English letters or numbers. Please avoid using special characters or Chinese (or other languages) letters as it might cause some issues in the later stage. 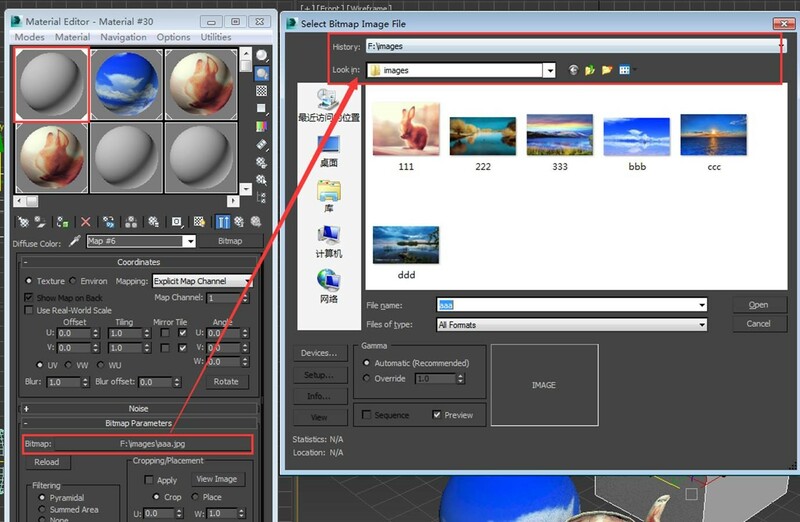 Create a camera for a special plugin. Resulting in rendering time too long. Resulting in incorrect render result. Scattered materials – no fixed folder is used and exists in many different disk drives or many folders are having a too long path. Material name or path has special 3.Reference object path is ABCD disk drive path or network path (which is unsupported on our platform). 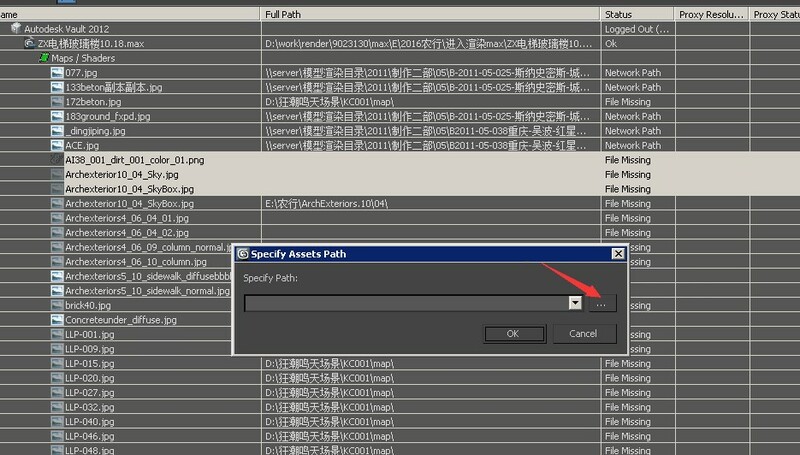 Or scattered assets, it is better to put all assets under the same project directory. 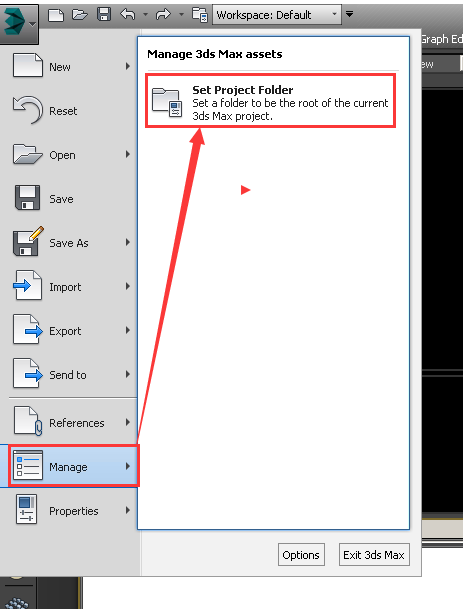 Select the project folder you wish to use, then click “Make New Folder”. 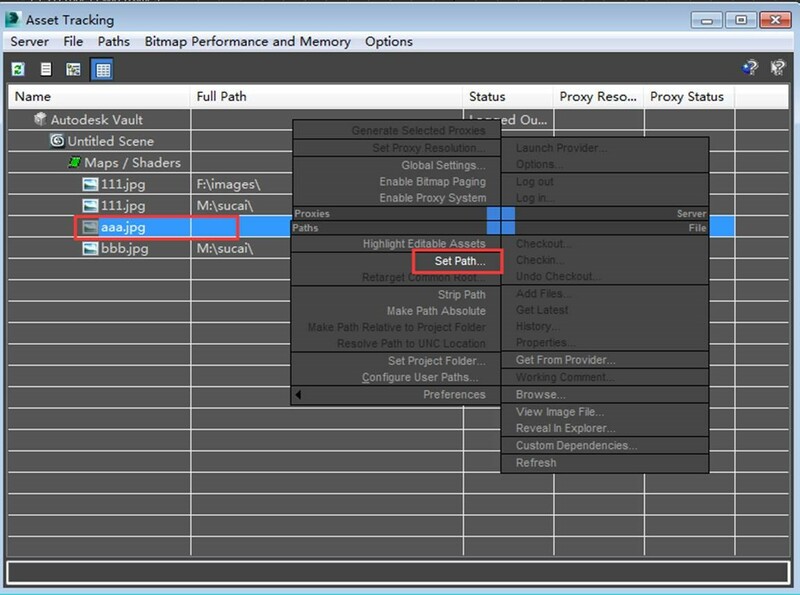 Please do not use ABCD disk drive path, network path or IP path. 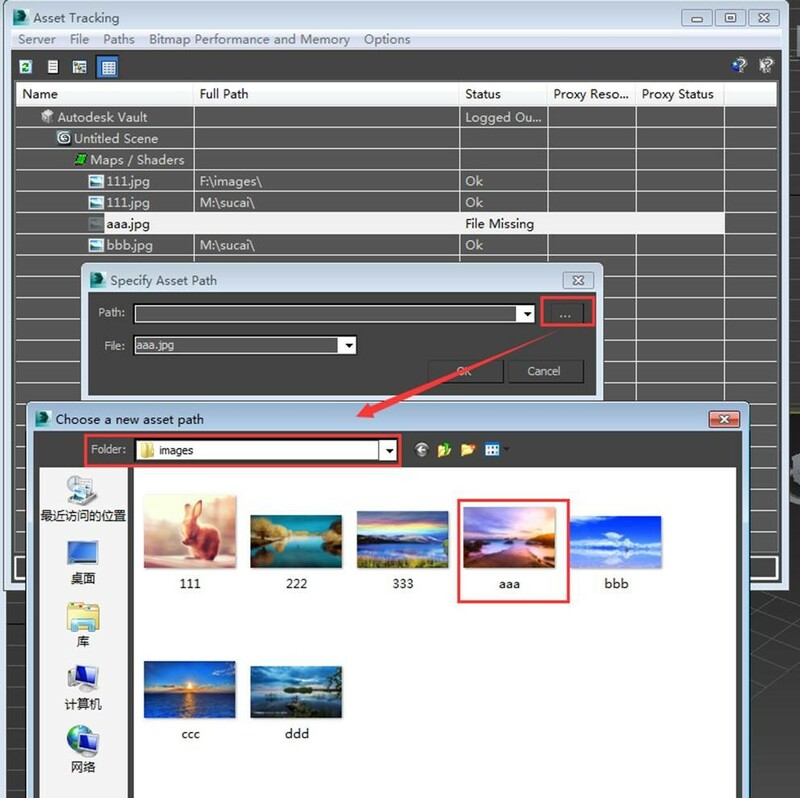 After a new folder is made, there will be some sub-folders which are automatically generated, please put the assets to the corresponding sub-folders. Or asset or path that contains special character or symbol such as space, dot “.”, comma “,”, dash “-“ and other unidentified character or symbol, please rename the asset or path. For any asset path that is using ABCD disk drive or network path, please change the relevant path to other disk drives such as E-Z disk drive path (especially for the reference files). 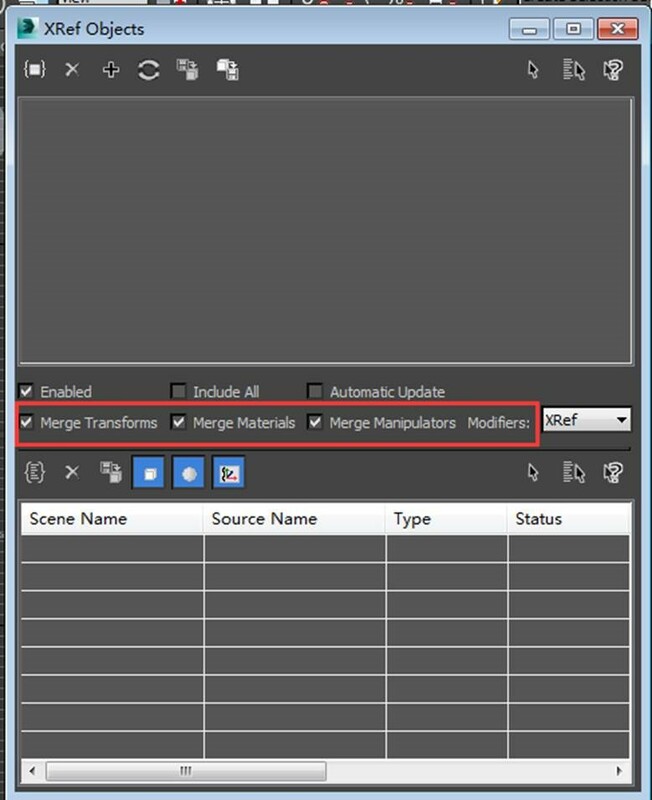 Find the reference file or reference scene, open it and click “Merge” in order to merge the scenes. 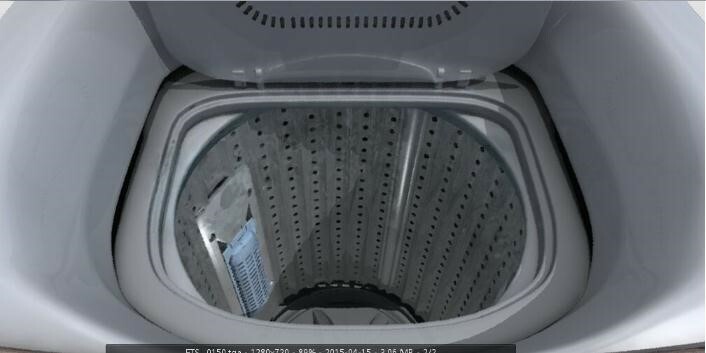 For larger reference file/scene, please change the path to the E-Z disk drive. Resulting in incorrect render result. b. 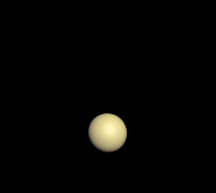 Resulting in flickering sequence animation. 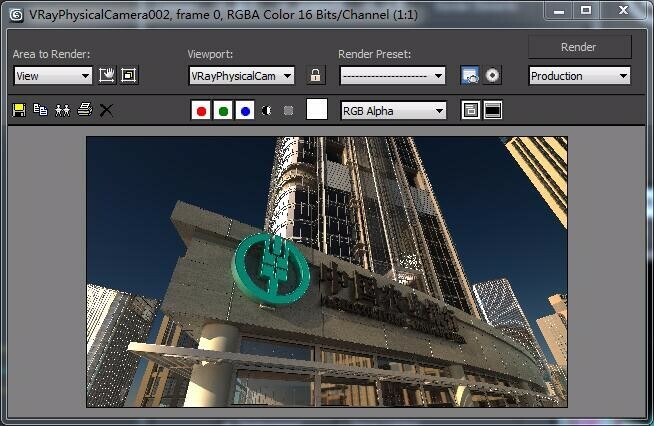 FG map file is not uploaded (Desktop client is unable to retrieve Mentalray FG parameters information). Please use RayvisionSync transmission tool to upload .fgm file to our platform (Upload path has to be the same as the path in the scene). 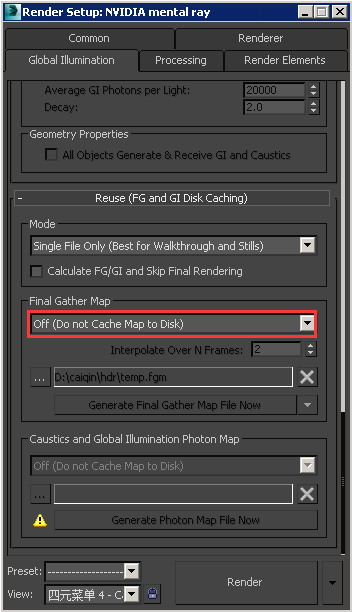 If no .fgm file is used, please select “Off (Do not Cache Map to Disk)” under Final Gather Map. 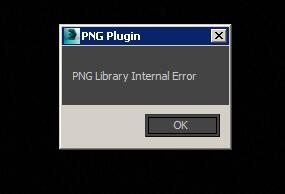 A pop-up window will appear on desktop client during render process, causing CPU to stuck and eventually leading to fail rendering. 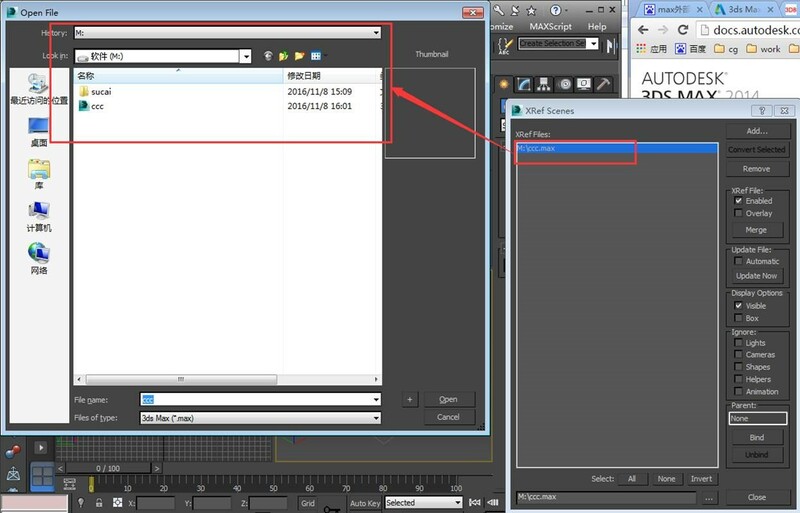 This can be solved by changing the format of the output image to .tga, .tif, .exr and etc. 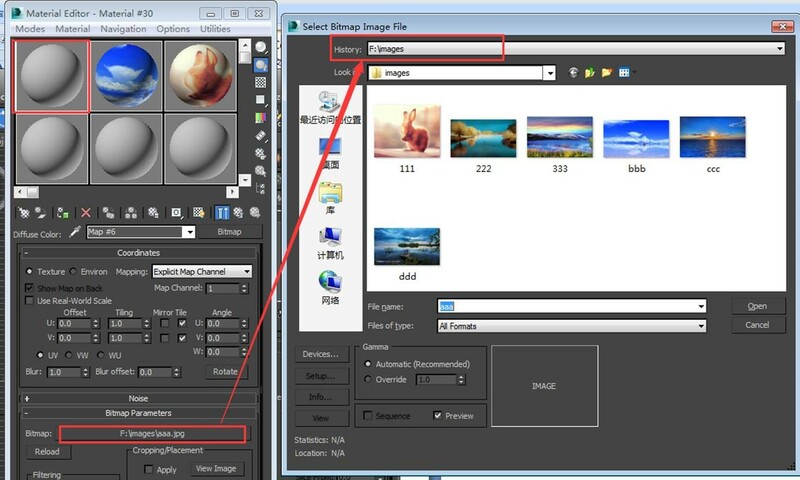 There are 2 methods to change the format of the output image: i. On Desktop client. 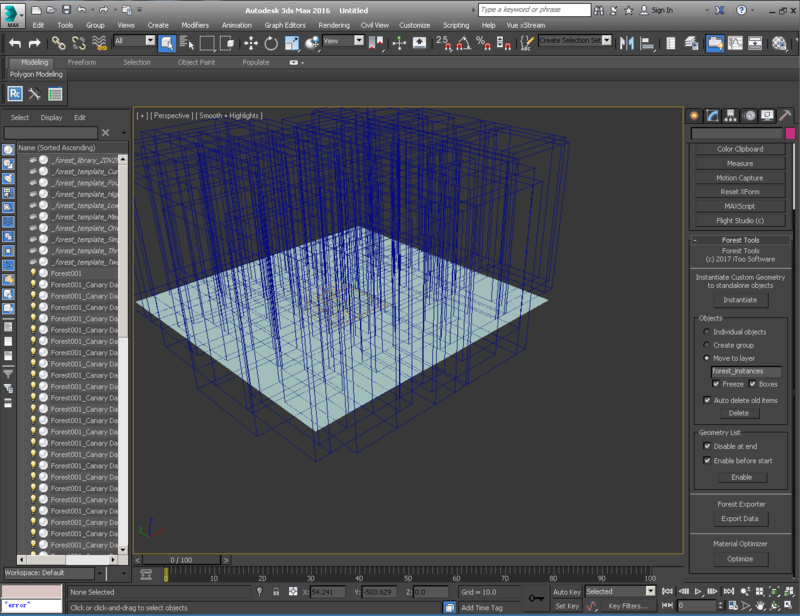 On 3ds Max scene file. 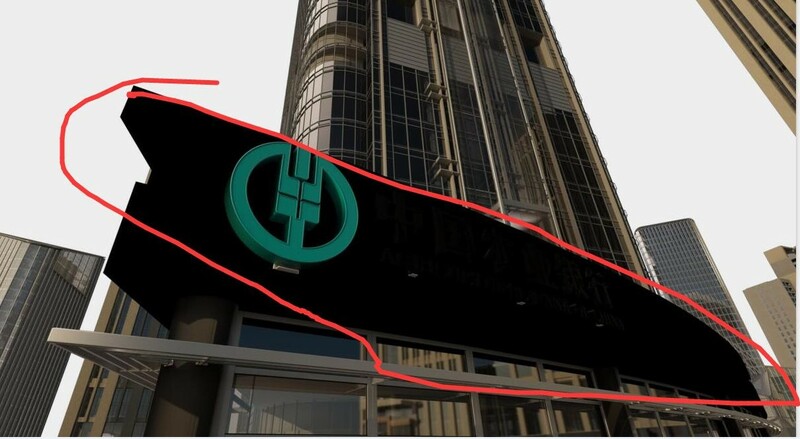 It might be due to the IES files inside have special symbols, such as "? |". 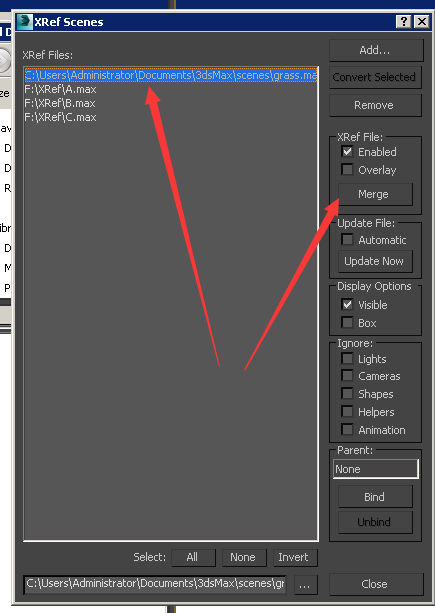 Special symbol cannot exist within IES file. IES standard file format, photometric data files in IES format can be created using the IES LM-63-1991 standard file format for photometric data. (IES stands for Lighting Engineering Association.) 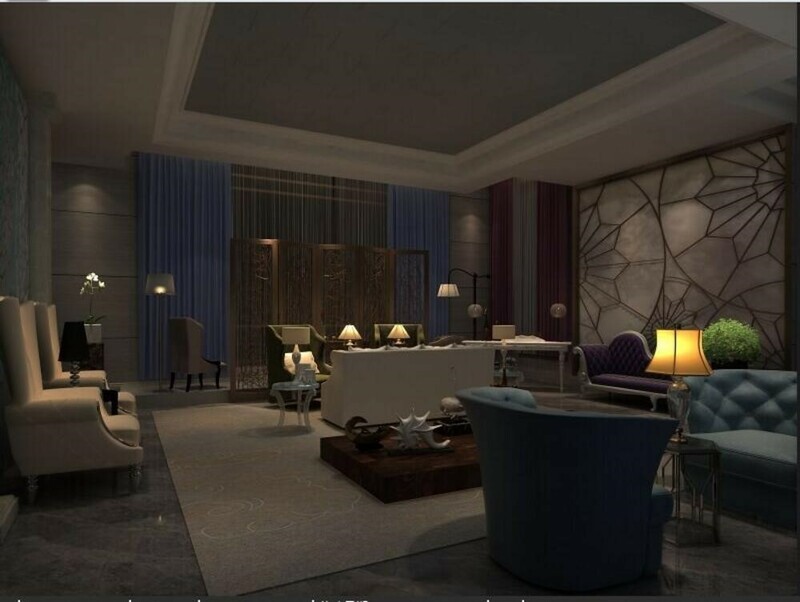 However, only the information related to 3ds max is described here. For a complete description of the IES standard file format, see the IES standard file format for electronic transmission of photometric data and related information developed by the IES Computer Board. The luminous intensity distribution (LID) of a light source is measured at a node of the optical network to obtain a set of fixed horizontal and vertical angles. The poles of the net are along the vertical axis and the lowest point corresponds to the vertical angle of 0 degrees. The horizontal axis corresponds to a horizontal angle of 0 degrees and the direction is parallel to the length of the light source. This type of optical network is generated by C-class goniometers and is most popular in North America; other types of goniometers supported by the IES standard file format are not discussed here. Photometric data is stored as an ASCII file. Each line in the file must be no more than 132 characters in length and must be terminated with a carriage return or line feed sequence. Longer lines can continue by inserting a carriage return or newline sequence. Each field in the file must begin with a new line and must be accurately displayed in the following sequence. 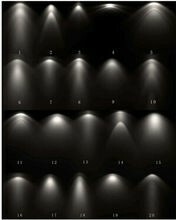 If the absolute metering method is used and the intensity values do not depend on the different lamp levels, the initial level lumen of the lamp is used in the test or -1. 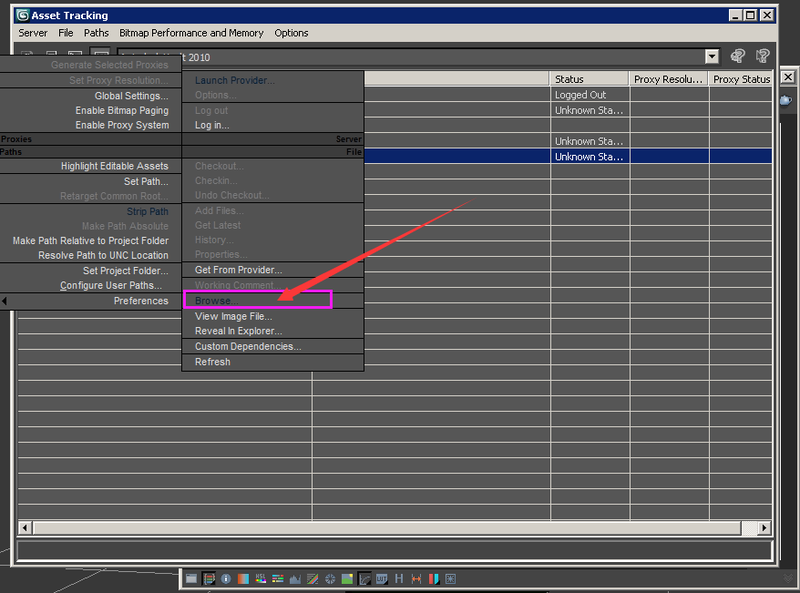 The multiplier for all the values in the file. This makes it easy to scale all the values of the Kendalla in the file when the device is measured in unusual units - for example, when the photometric values are obtained from a dialog box using a ruler on a goniometer chart. The multiplication factor is usually 1. The vertical angle in the optical network. Horizontal angle in the optical network. 1 Unit type for measuring the size of the light-emitting opening. 1 for feet and 2 for meters. The vertical angle settings are listed in increasing order. If the distribution is fully listed in the bottom hemisphere, the first and last angles must be 0 ° and 90 °, respectively. If the distribution is fully listed in the top hemisphere, the first and last angles must be 90 ° and 180 °, respectively. Otherwise, they must be 0 ° and 180 °, respectively. The horizontal angle settings are listed in increasing order. The first angle must be 0 °. The last angle determines the degree of transverse symmetry that the intensity distribution shows. If 0 °, the distribution is symmetric about the axis. If it is 90, each region is symmetrically distributed. If it is 180, the distribution is symmetric about the vertical plane. If greater than 180 and less than or equal to 360, the distribution exhibits no transverse symmetry. All other values are invalid. The settings for the Candela value. First list all the kendra values corresponding to the first horizontal angle, starting at the value corresponding to the minimum vertical angle and moving the associated vertical plane upwards. Then the Kandler values corresponding to the vertical plane by the second horizontal angle are listed, and so on up to the last horizontal angle. Each vertical slice of the value must start at a new line. 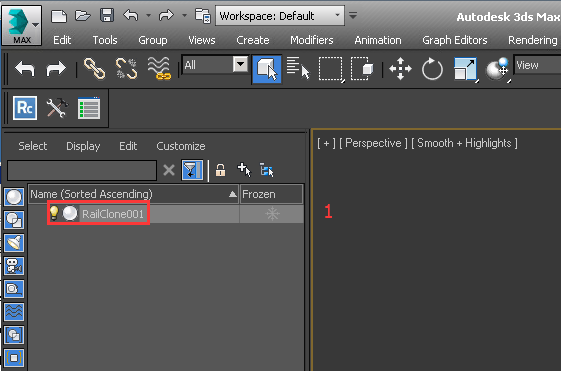 According to the instructions previously specified, open a longer line between the values on demand. 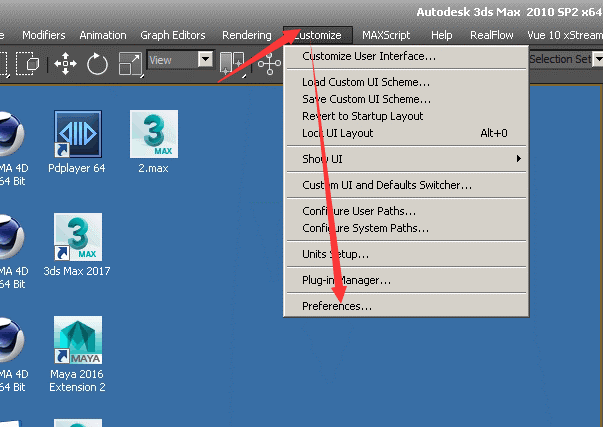 c.	Open the 3ds Max file to reload a new file. a. 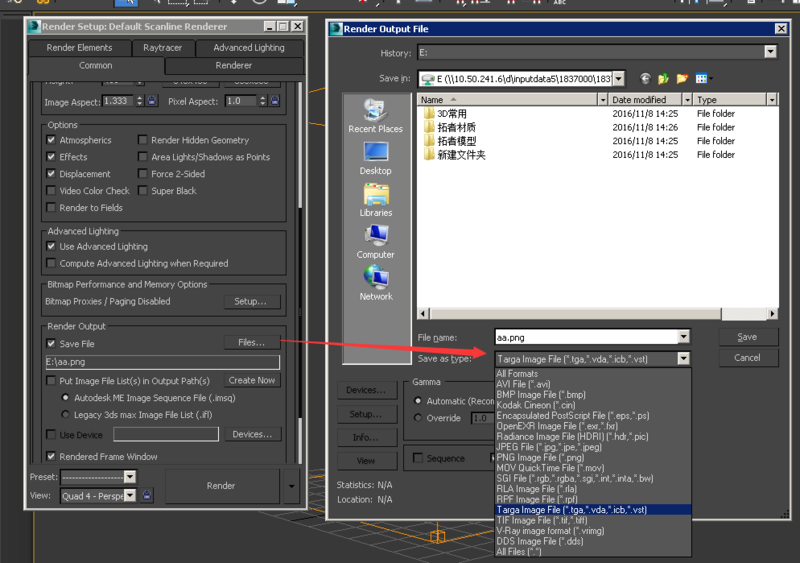 There are no corresponding materials in scene material file path, such as the scene file mapping path is F:\images\aaa.jpg, but images in local F set folder has aaa.jpg file (as shown in figure). 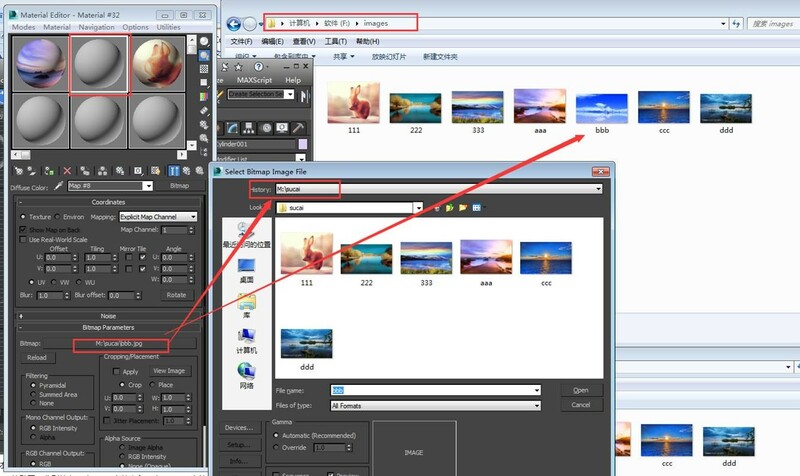 b.Scene material files are not in the corresponding local place, such as scene file mapping path is M:\sucai\bbb.jpg, and after use it was put inside the F:\images folder, not in M set folder corresponding path. c. One same material file in different positions, and using one same texture map in the two paths in the scene, such as there is a 111.jpa map, respectively on M:\sucai folder and F:\images folder, scene CCC.max, a teapot with the M:\sucai\111.jpg, a cylinder with the F:\images\111.jpg. 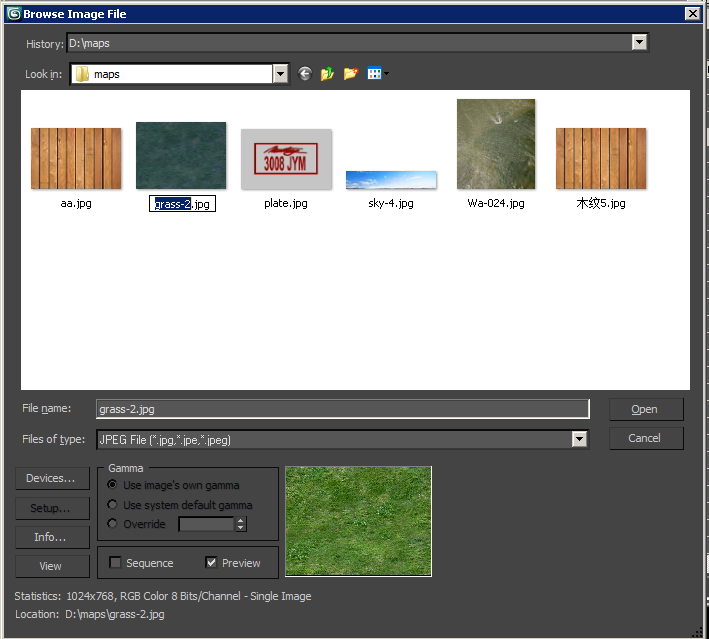 In the process of uploading file analysis, 111.jpg is being uploaded to one path, but the other path without this texture map. b. 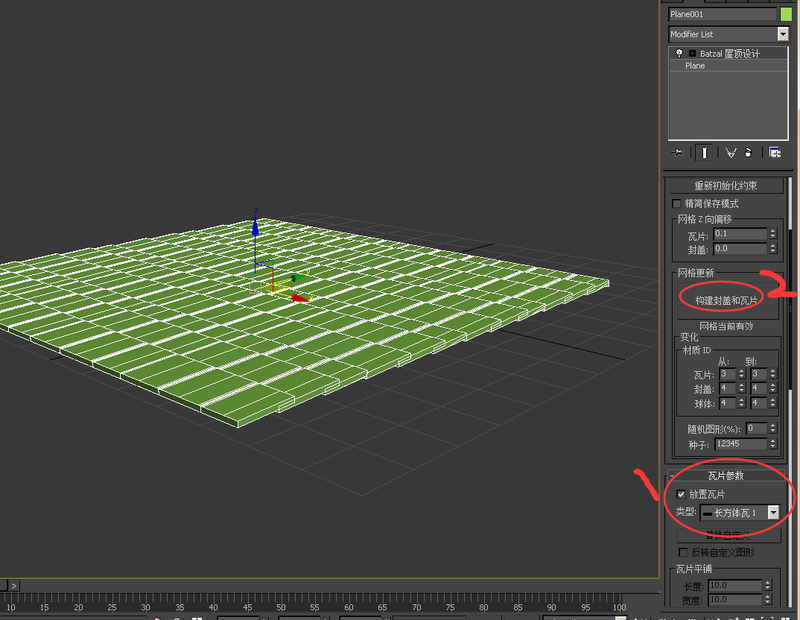 Rendering failed, log map is missing or texture map cannot be uploaded to input. 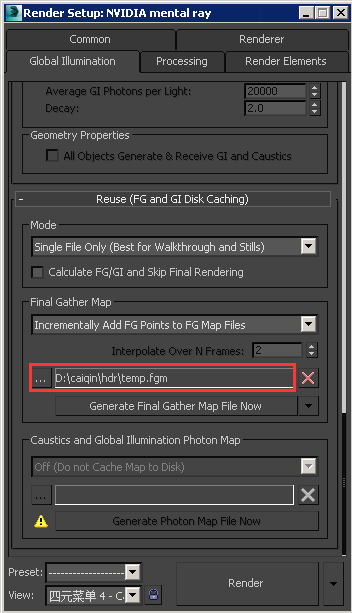 f. If different objects using one same texture map under two different paths, please change to one same path, this will also save analysing & file uploading time. a. 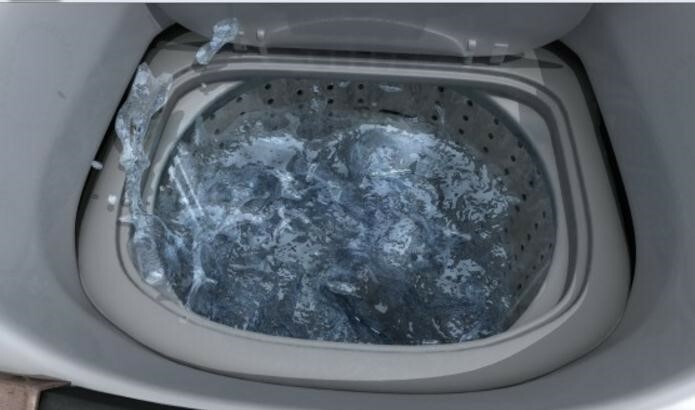 May lead to fail rendering b. 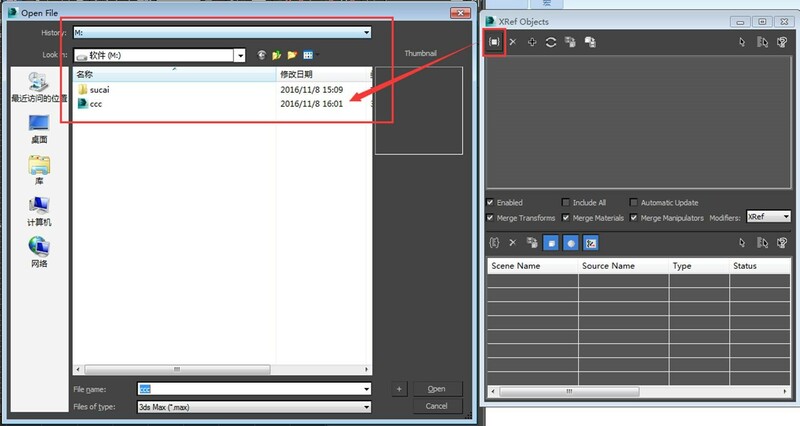 Cause analysis process unable to obtain the related file parameters information. b. 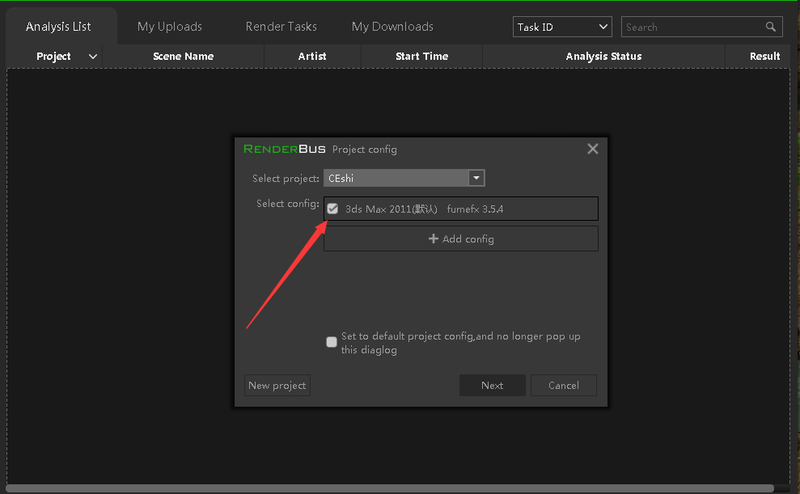 Enable save file properties by checking "Save File Properties” and then submit the task to our platform for rendering. a. With the Animation (rendering) transfer to the Animation (prepass) for calculation of photons, resulting in rendering failure. b. 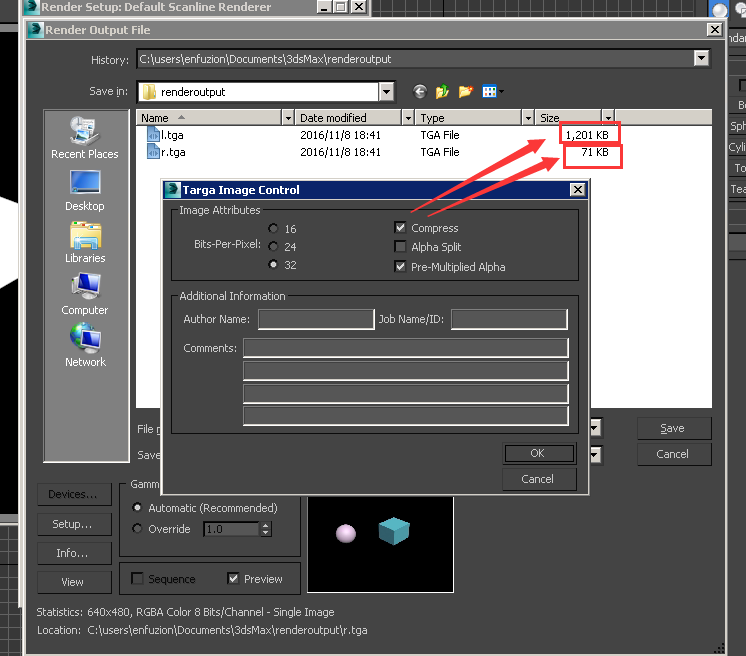 With the From file transfer to Animation (prepass) for calculation of photons, resulting in rendering failure. 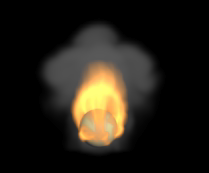 Modeling plugins on rendering effects: a. May lead to wrong rendering result. b. 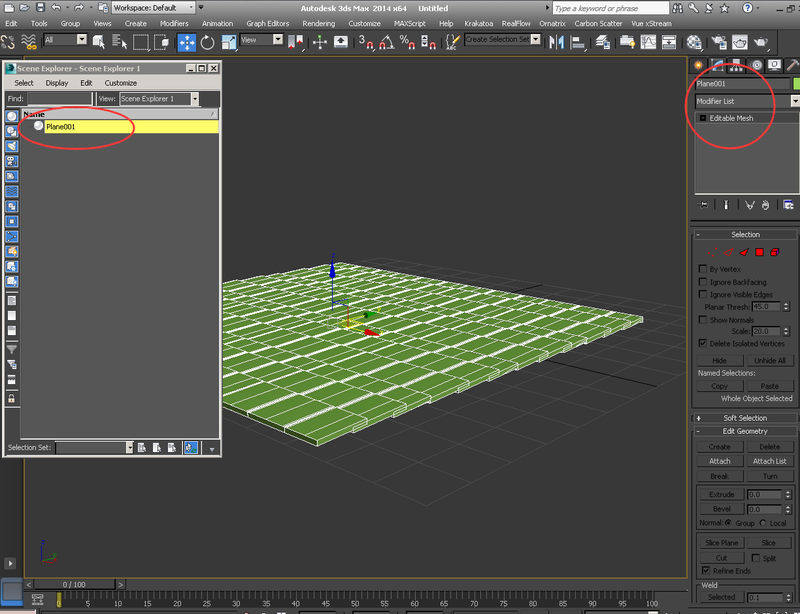 May lead to 3ds Max software to crash during rendering. The following is built in 3ds Max scene. 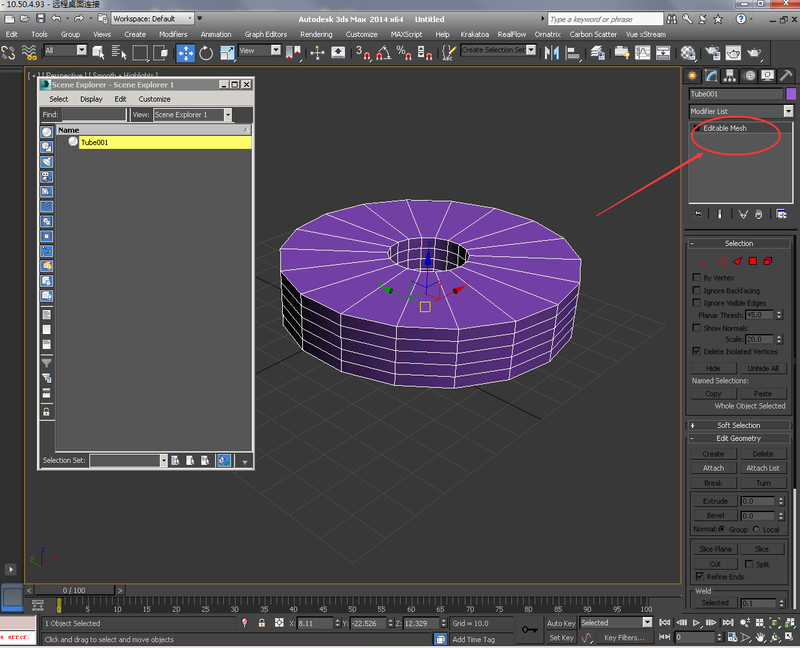 Select the model, right-click the mouse, find Convert To: Convert To Editable Mesh, to edit polygons. 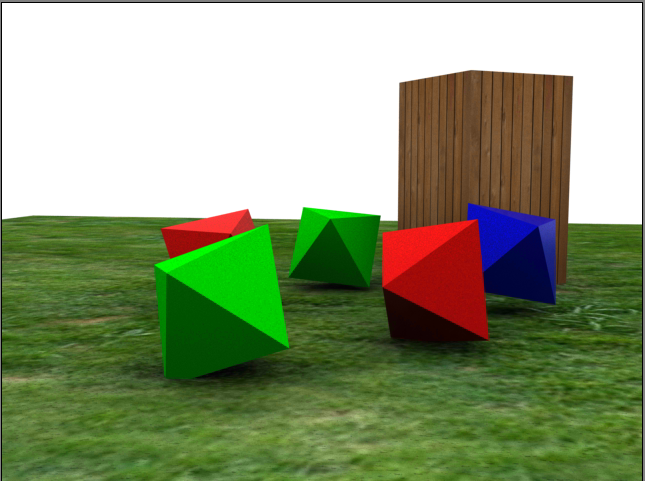 Editable Mesh can be converted to editable polygons can be displayed. 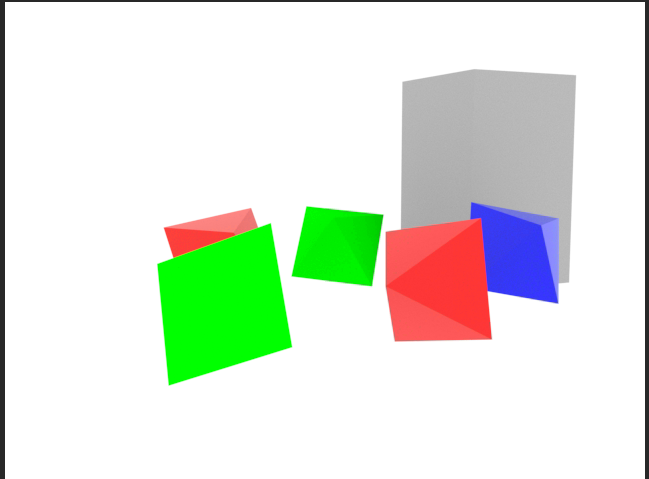 This is displayed as a polygon before submitting the render. b.2nd type: quadchamfer parametric modeling. This is displayed as a polygon before submitting the render. 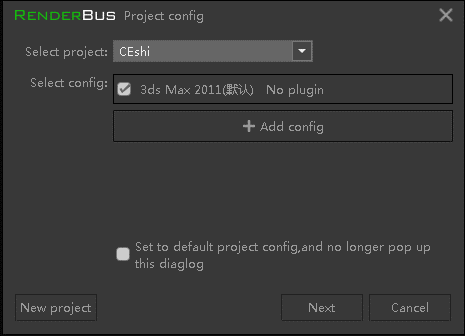 For example: Using desktop client to submit test.max file, the following is the detail of test task: Software and plugin: 3D max 2011, VRay 3.30.05, FumeFX 3.5.4 Test project name: CEshi, only configure the 3ds Max 2011 without other plugins, resulting the render to fail. iii. Click "Next" to next step. 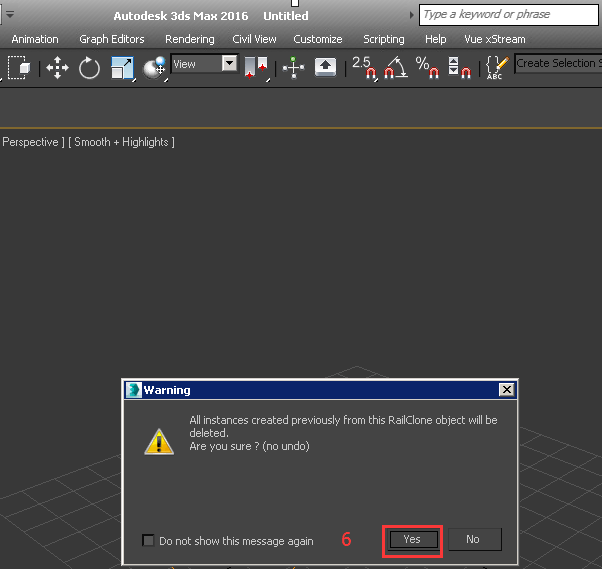 Supported Software a.Issue: The task is failed due to our platform does not have the software that corresponds to your render file. b.Solution: The user need to communicate with our customer service to confirm if we support the software that corresponds to your task in advance. If the software is right but task still failed, please check the project configuration software and make sure the version is correct. 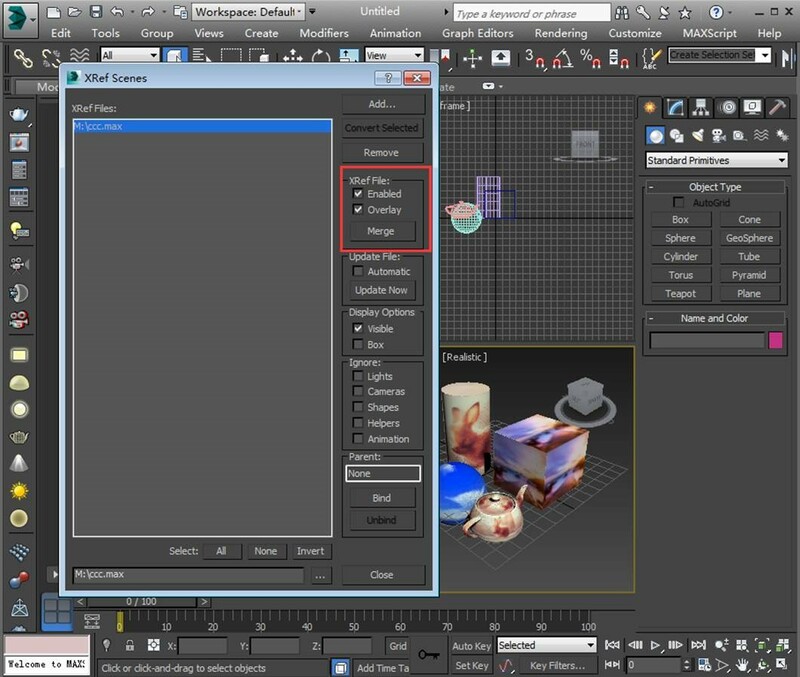 Supported Plugin a.Issue: If the user forgets to configure the plugin that corresponds to your scene in a project or the configured plugin has not been activated during the submission of a task, such as: If you are using RealFlow in your scene but our farm does not have the same version (exact version) of RealFlow which corresponds to your scene, although the task will successfully render the scene, the render result would be wrong. 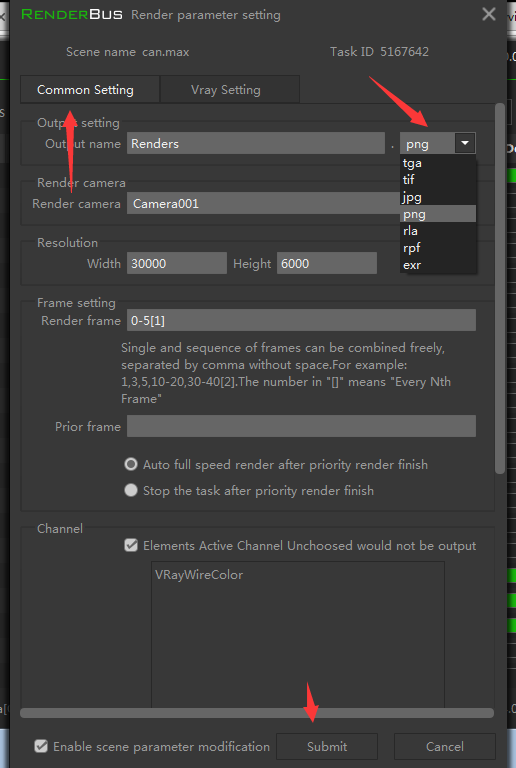 The following render results show correct and incorrect result: If you are using V-Ray as the renderer in your scene but our platform does not have the corresponding V-Ray version or does not configure the right version, then the task will be failed. b.Solution: The user need to configure the same exact version of plugin in the scene while the user is submitting a task. Issue frame0000_composed got stuck for a long time and showed "error" in a multi-tile/distributed rendering task. 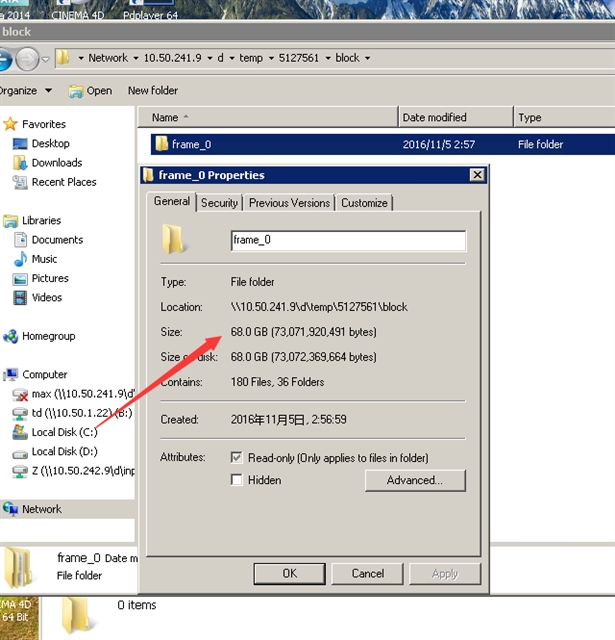 It is found that the file is still in the copy status, the finished file is 68GB. 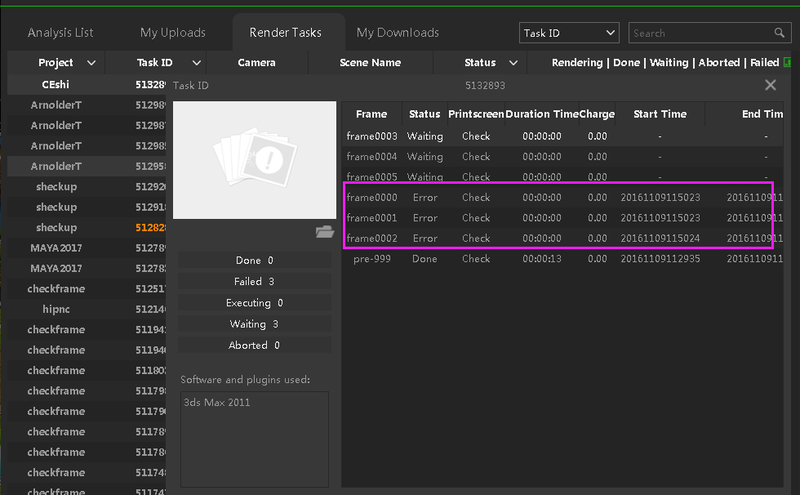 The render log showed that it is still in copy status. 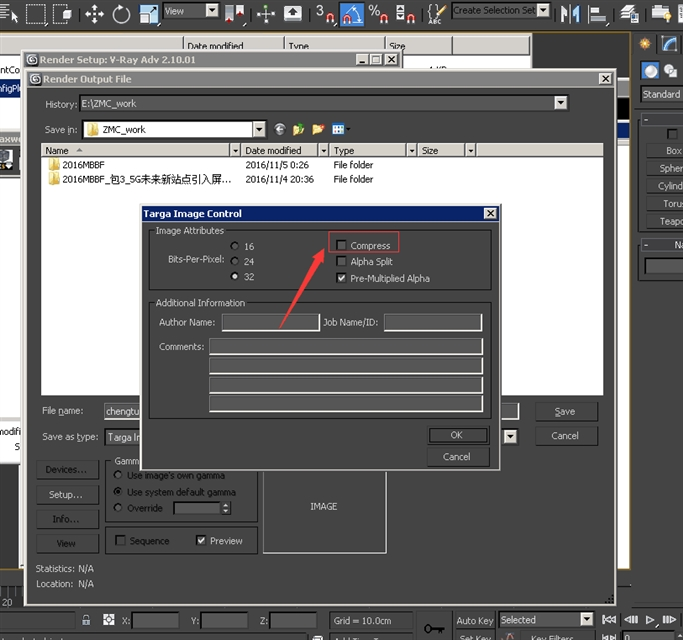 The corresponding map path is blank inside the max file explorer, generally caused by using the third plugin to import model or material, so the map path is blank which cause the program is unable to get the correct maps, then the render result has lost maps. b. 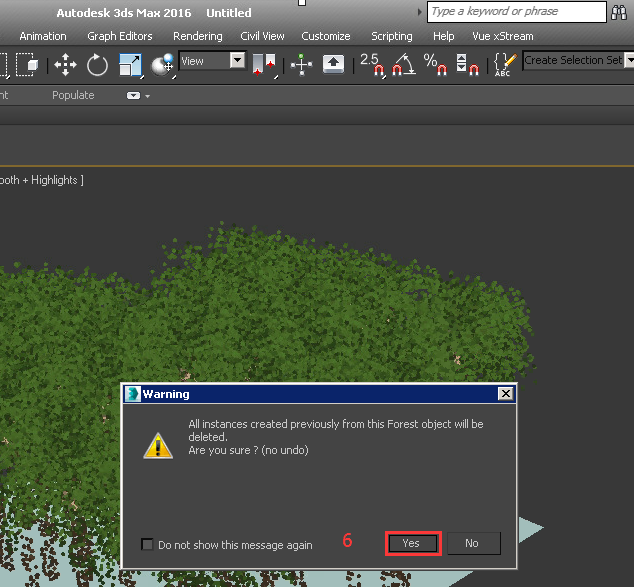 Tick the lost map, then right-click "Set path…". 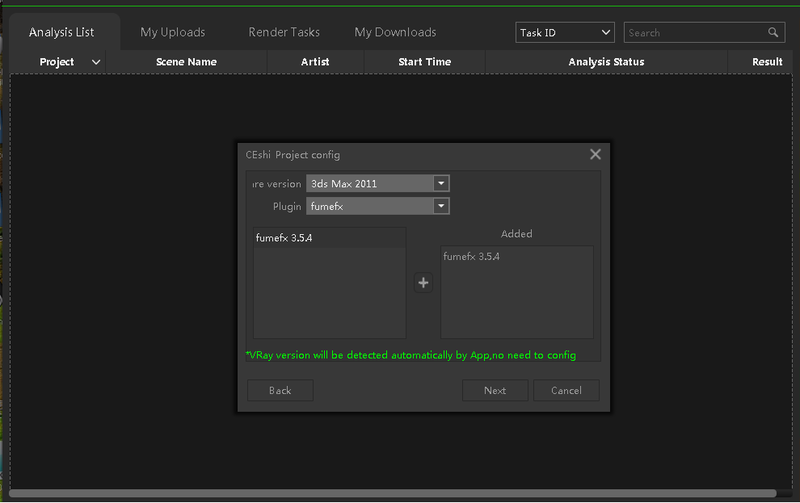 c. Please click "..." to search the map path in the pop-up window then click "OK". d. Save the new path then resubmit the task. Solution a. 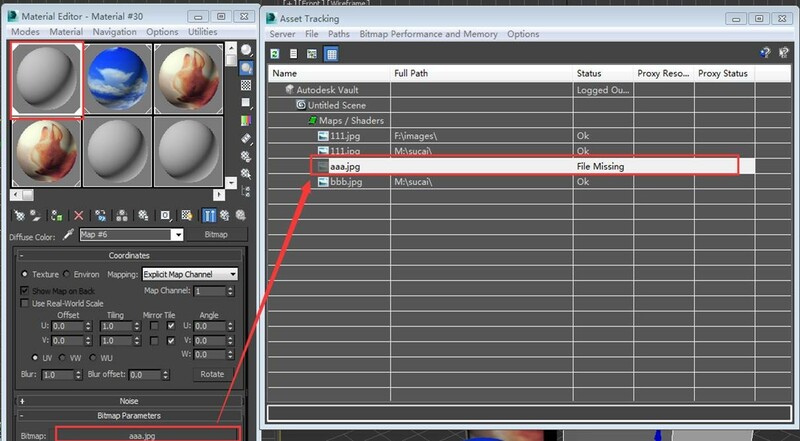 Using Asset Tracking (Shift+T) in 3ds Max to search the long path or special character file. b. Tick the file then tick "Browse". Find the map in the file browser window. 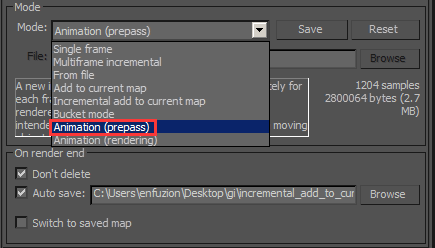 c. Modify the map name and tick "Open" to open it. 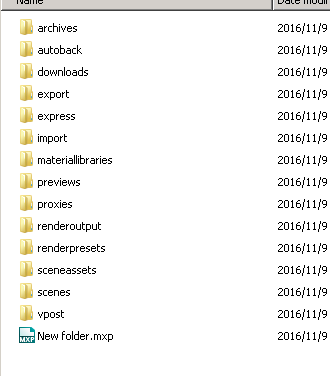 External reference file common problems: a. External reference file is not loaded. b. External reference file within the map file or the cache cannot be read & recognized. External reference problem affects: a. 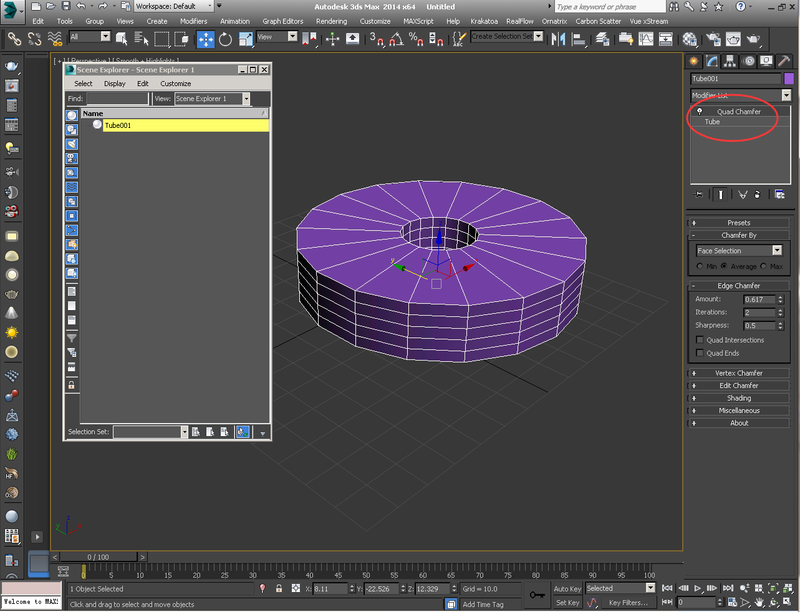 Render output is wrong, missing the reference part of the object. b. 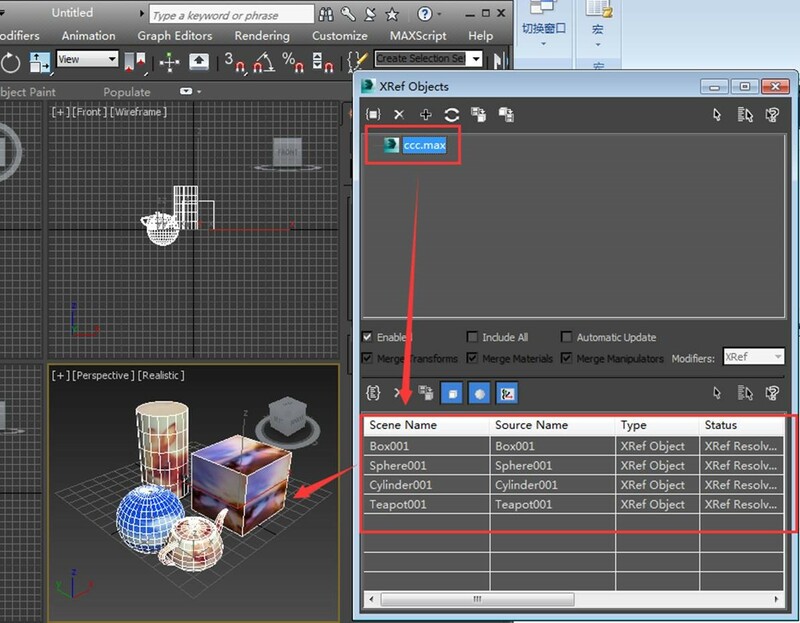 Render failure due to tiles or cache file is missing. c.	Analysing/Pre-processing failure. Solutions: a. 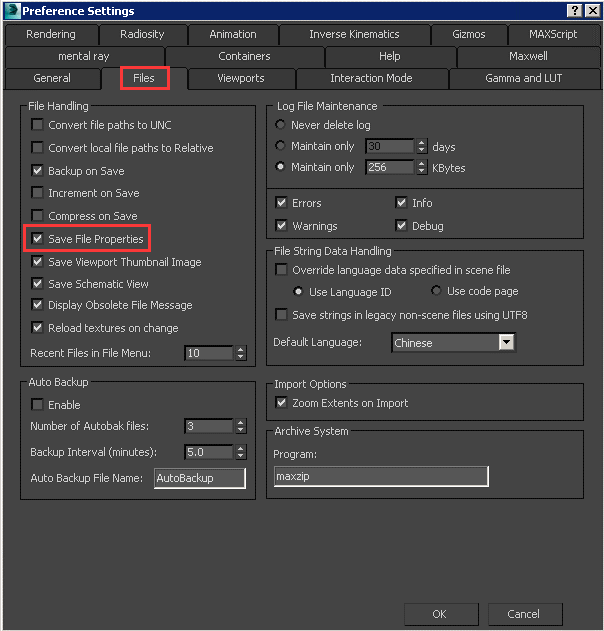 Please check whether the scene file loads the correct external reference, and external reference files need to be on the E-Z drive for absolute path. b. Please merge the scene. 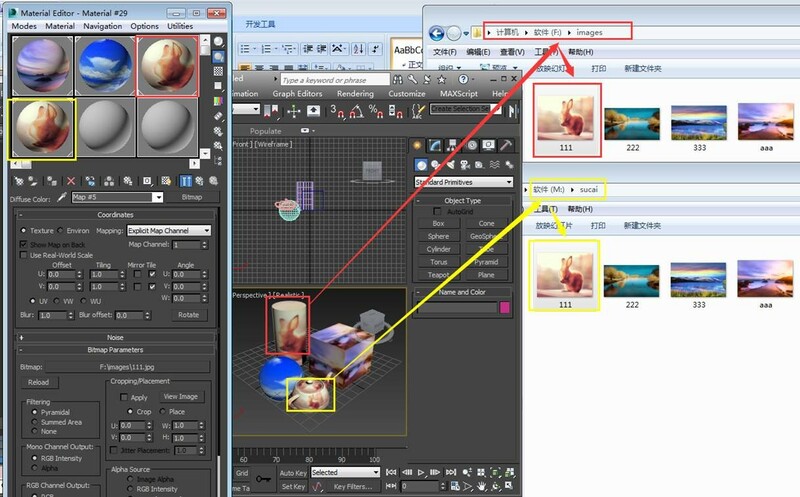 c.	If the user is using the reference object, please merge into the main scene (as shown in figure), check all the three boxes in red frame. d.	Choose the reference documents what the user needs. e.	Choose what the user needs. 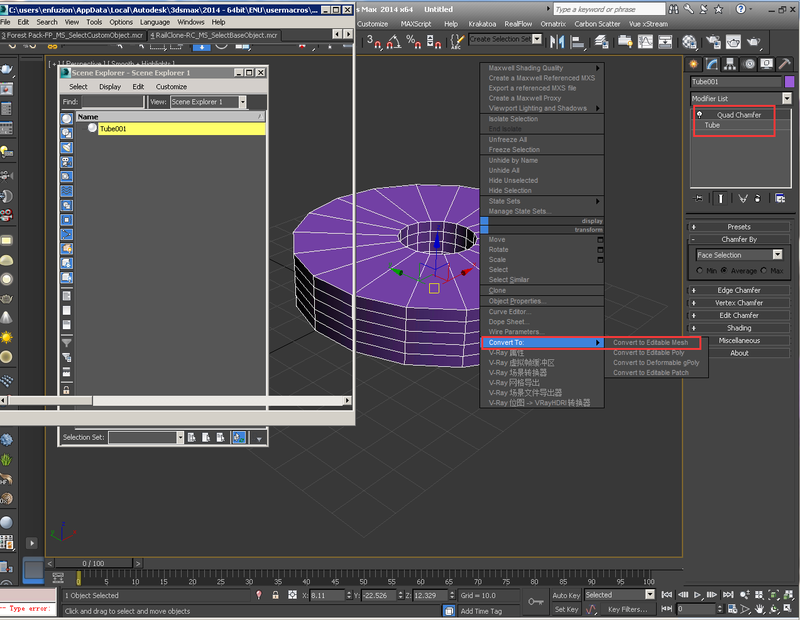 f.	Click double-click the 3ds Max file, the user can see the loading objects that the user has chosen. 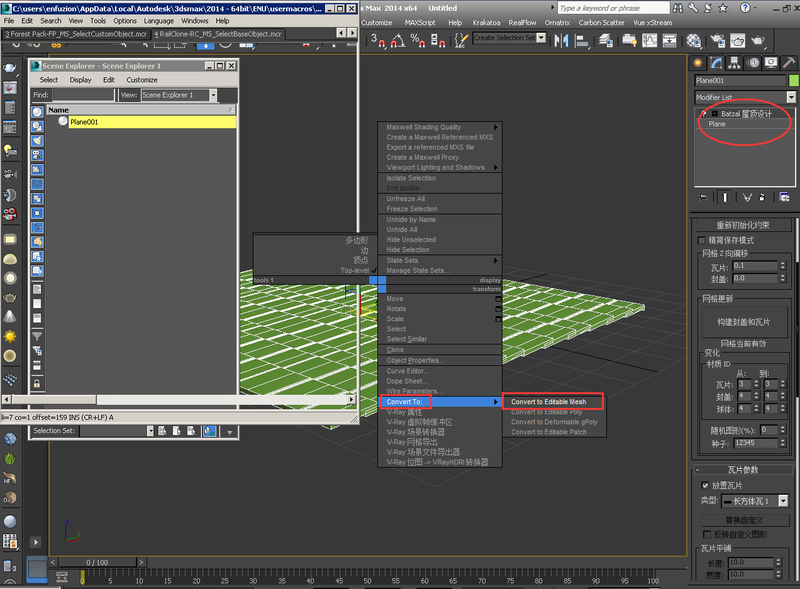 g.	After the completion of the merge, the user can submit the scene for rendering.